My friend George McCurrach and I had been talking up taking a quick run down the South Anna for a couple of years, and we finally matched up our schedules and got it done. Of course, we picked getting on the river at 6 a.m., but it was worth the sleep loss. 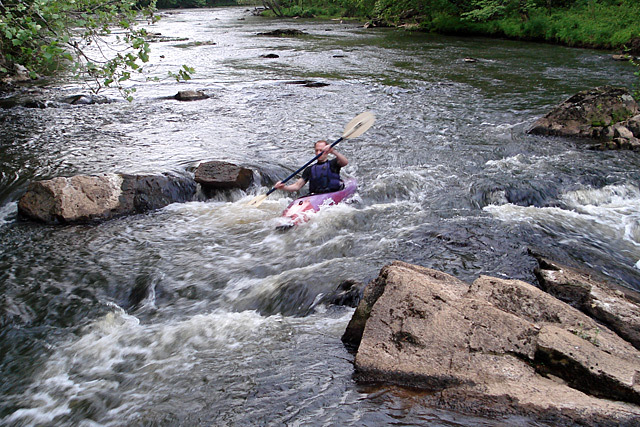 Most of my river kayaking experience has been on the James. When you start with one of the best, why go anywhere else? One thing with that is losing the sense of adventure and discovering the unknown. A second is, you never know how good you have it if you don’t find something to compare it to every now and then (this does not apply to relationships, married people). We put in at the Route 33 (Mountain Road) bridge in Hanover County after leaving a second car at the planned takeout on Greenwood Church Road. That’s about three miles, and plenty for two dads that expected to be busy with kids when we got off the river. The river was at about three feet, which is probably average for the South Anna since it hadn’t rained in about a week [check river levels]. 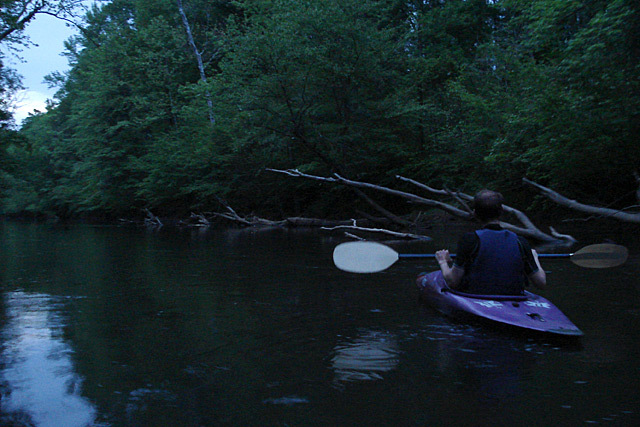 We paddled off at dawn, just as we started to differential the trees from the dark morning sky. The South Anna cuts through rural western Hanover and thankfully in this stretch, there is little development on the river. The Federal Club and Farrington slept in silence on the hills above us. There was little sound other than birds, frogs and the rapids. 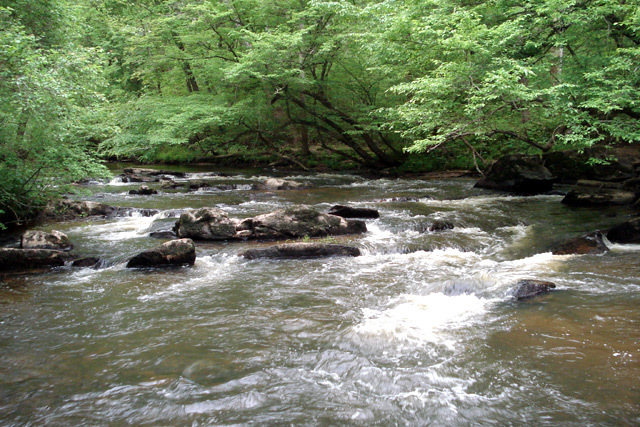 It was mostly calm flatwater, but we were surprised to find several quick rapids — although nothing higher than Class II. We found one worth portaging back up and doing again. I wasn’t looking to get soaked, but I like a river to provide a little challenge. 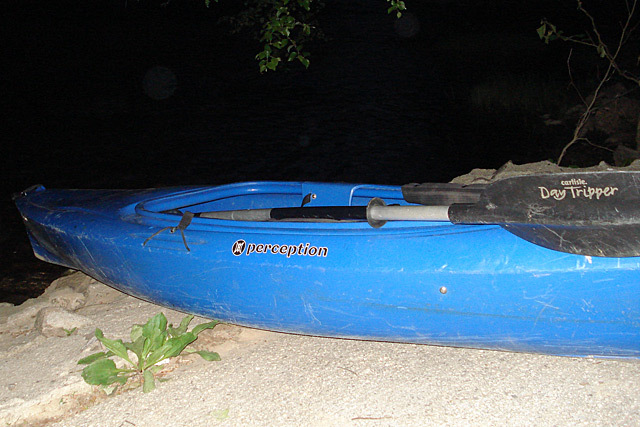 In the three-mile stretch, we encountered a half dozen rapids and plenty of little sandy beachs and islands that created separate channels to explore. The same strip of Petersburg granite that runs from Georgia to somewhere in the New England that makes the Falls of the James so fun creates some similar, smaller scale falls along the South Anna. The granite boulders were distinctly less white than on the James, something I noticed on the Appomattox River in Petersburg. They were also less smooth indicating the South Anna generates less power to erode the boulders. At least that’s my amateur analysis. The problem on the South Anna would likely be if the water was up — the debris would likely be bad. There are plenty of strainers along the way too, as there were many downed trees and low-hanging branches. Plus, if you got into trouble, rescuers might have a tough time getting to you. Plan your trip wisely. We saw no one on the river, and overall the trip took us about 2 1/2 hours on a cool and overcast spring morning. We mostly took our time, as George was scouting for camping grounds and I was constantly trying to take the perfect photo. The best part of that peaceful trip was a chance to hang with George. We talked about the environment, getting outdoors, rain barrels, bugs, gardening, family life, what we’re good and bad at in life, the future. Things you’re supposed to ponder while waking up on a slow paddle. We’ll hit the South Anna again sometime and maybe stretch it out to six miles down to the Route 54 takeout.